Dr. K. Karal Marx is basically a fisheries biotechnologist mainly involved in teaching “Fish genetics and breeding” and “Fisheries biotechnology” subjects to students. He is well known for his research in genetic improvement techniques in fishes. He has produced triploid and gynogenetic catfishes, hybrid catfish, triploid carps. He has established “Magur” (Clarias batrachus) hatchery and successfully bred during North-east monsoon. He has established Tilapia hatchery and trained more than 250 farmers throughout Tamil Nadu. He has also guided in DNA Barcoding and gene expression in fishes. He has operated number of ICAR projects, NADP project, etc. Not only a good teacher, researcher but also a good extension and field level worker. Due to his dynamic approach ICAR – Central Institute of Freshwater Aquaculture, Bhubaneswar, Odisha has made inter institute collaboration with TNFU and also with different farms for the successful demonstration of ICAR – CIFA technologies in Tamil Nadu for the benefit of inland fish farmers, aiming an increase in their income through increased fish production. His sincerity, dedication, hard work and total commitment has ultimately elevated him to a responsible position as Dean, Faculty of Basic Sciences, Tamil Nadu Fisheries University, Nagapattinam. 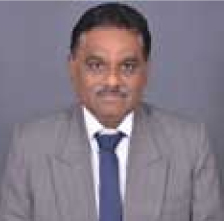 He has also served as Director of Research in-charge, Tamil Nadu Fisheries University from 04.01.2016 to 01.05.2017. Now, he is focusing on breeding and seed production of native minor carps and Popularization of culture of loaches which is locally called as “Ayirai Meen”. He was honoured by the Agricultural Scientific Tamil Society, New Delhi and received “The Best Book Award” for the book ‘Techniques for quality fish seed production of Carps, Catfish and Tilapia’ on the occasion of the 3rd National conference on Agricultural Scientific Tamil Research held at Tamil Nadu Agricultural University, Coimbatore on 12th-13th of August 2017. Vaniyanchavadi, Chennai – 603 103. He had undergone overseas training under AHRDP programme in the field of “Reproductive improvement in Fishes” at Institute of Aquaculture, University of Stirling, United Kingdom, Scotland during 1998-99. He has also undergone intensive training at Asian Institute of Technology on ‘Seed production and Hatchery Management of Nile Tilapia’ during October 2012. He has also made an exposure visit to Tilapia hatcheries in Bangladesh during June 2015. He has published more than 30 research articles in peer viewed journals, obtained 32 Genebank Accession numbers, 20 articles in seminar/ conference proceedings, 40 popular articles and 16 books/manuals. At present his main focus is in the promotion of “Loach Culture”, all male Tilapia farming and culture of genetically improved rohu and catla.